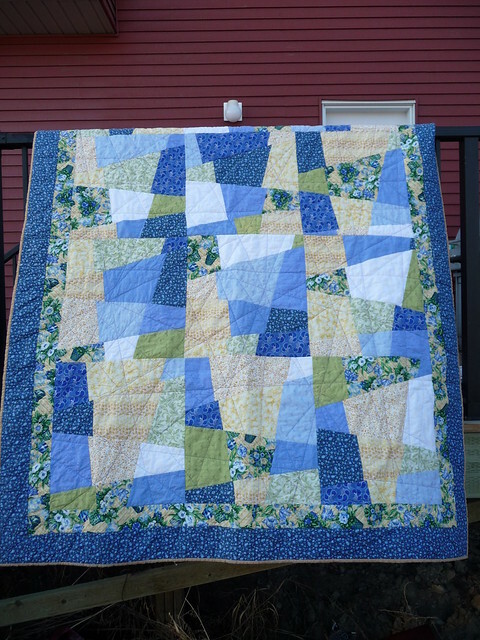 I decided because the blocks are less structured, I'd do some random straight line quilting. I kept thinking of Austin Powers "frickin' laser beams" as I was doing it. I started out drawing lines until I thought I had enough coverage. 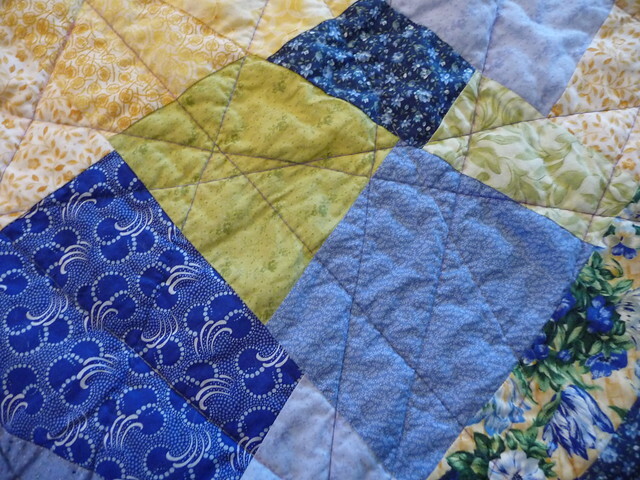 Then I quilted and added more lines to fill in some of the empty spots. In the end I'm really happy with it. 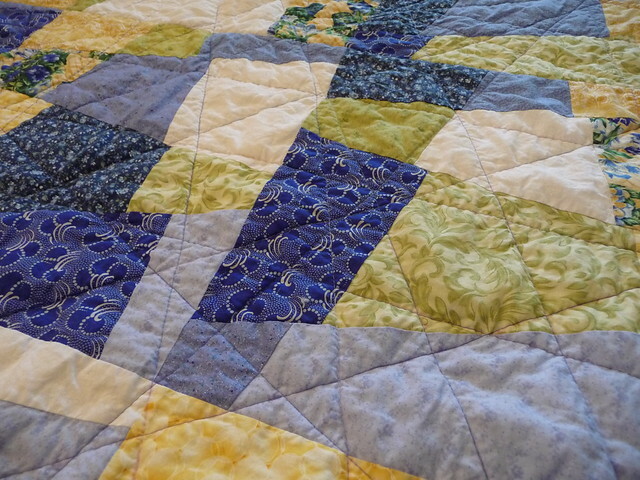 This quilt, while one of my oldest UFOs (2001-ish), is really representative of my quilting - a strange blend of traditional and modern. 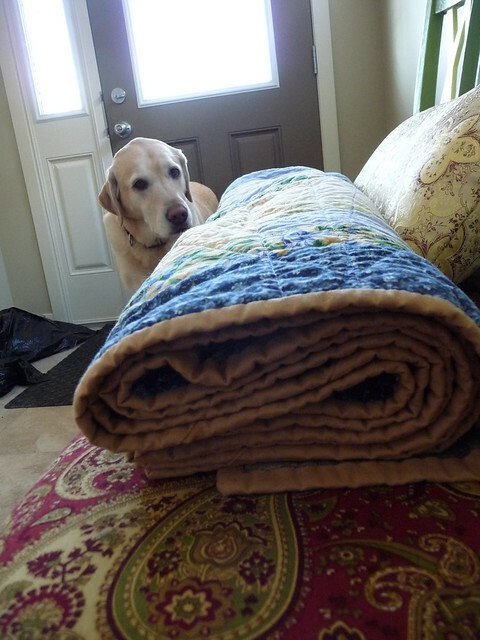 Even the fabric on this is a blend of modern and traditional as you can see in the pictures above. And it's bound with a tan solid from my stash. Actually, finishing this used up quite a bit of stash for me, between the tan binding and the chunk of wide width backing fabric I used. Score another Finished Object from the UFO pile. 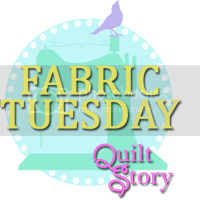 Linked to Quilt Story's Fabric Tuesday.